The world's deadliest aviation disaster took place on a foggy airport runway rather than in the air. That's why NASA is offering "augmented reality" glasses that would allow commercial airline pilots to see a virtual version of runways in even the worst weather conditions. NASA's prototype of "augmented reality" glasses that would let pilots see through foggy conditions. Such glasses represent a portable head-worn display that shows critical flight information such as airspeed, altitude and orientation floating in front of one eye at all times. The NASA display would also track pilots' heads so that an updated virtual outline of an airport's runways and towers always appears wherever they look — allowing them to keep their attention on what's happening outside rather than staring at a chart or tablet. 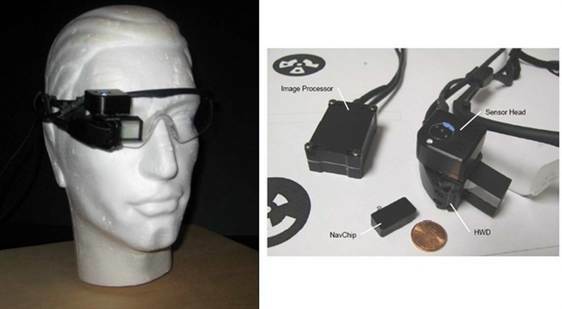 Similar heads-up display (HUD) technology exists for military fighter jet and helicopter pilots, who wear helmets with the transparent displays. Newer commercial airliners also use HUDs installed in the cockpit, but lack the head-tracking " augmented reality " of NASA's technology that layers virtual images or maps on top of a pilot's real-world vision.